The Islamic State, also known as ISIS, ISIL, and (to me) The Balaclava Appreciation Club of Iraq and Al-Sham, has granted Canadians with the highest honour there is: a shout-out in their jihadist propaganda video. Finally, after years of death-to-America-this and death-to-America-that, it’s Canada that gets to feel the wrath of Allah, along a list of some the best infidels. IS spokesman Abu Muhammad al-Adnan said in the video, “if you can kill a disbelieving American or European—especially the spiteful and filthy French—or an Australian, or a Canadian, or any other disbeliever from the disbelievers waging war, including the citizens of the countries that entered into a coalition against the Islamic State … kill him in any manner or way however it may be.” I wonder if French Canadians count towards the “spiteful and filthy French” mentioned. That would mean double the points for Canada! The Islamic State, whose conquest of Iraq and Syria is reminiscent of their imperious Islamic predecessors hundreds of years ago, has been deemed a threat by Canada, as well as other Western nations who have joined in a coalition with the U.S. to fight this terrorist organization. The prime minister’s director of communications, Jason MacDonald, said in a response to the video, “ISIS represents a threat not just to stability in the Middle East, but to global security. We will continue to work with allies to push back against this threat. Like our allies we will not be cowed by threats while innocent children, women, men and religious minorities live in fear of these terrorists.” The Canadian Government recently announced it will be sending 69 special forces personnel to serve as advisers to the Iraqi forces struggling to combat The Islamic State. 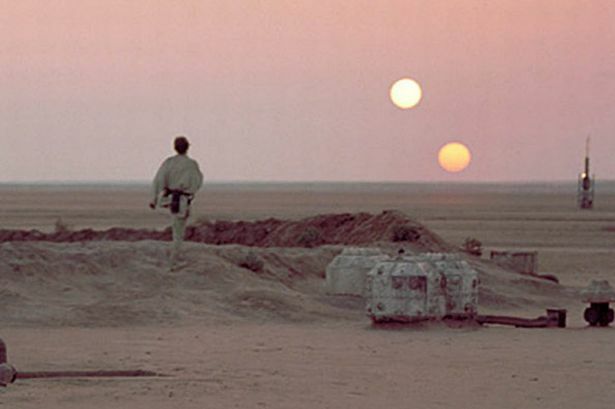 While I have the utmost gratitude for our brave men and women fighting for Canadian values on the desert planet Tatooine, how’s all this hullabaloo affecting us at home? Yes, we live in uncertain times, especially for Canadian Muslims. Though, if there’s one thing Achmed, the immigrant from Algeria, can be certain of, it’s that he’ll be chosen for his fifth “random” airport security check in a row next time he’s at Pearson. Having an airport security guard get way to close to your nuts—no wonder we made it onto a Jihadist death list.